I had my friend Carla stop by my studio this past week and we sat down for an hour talking about knitting, politics, cultural appropriations and more! Check it out and let me know what you think! As we continue to work on our new social media platform, we wanted to post our podcast online to share with all of you now. 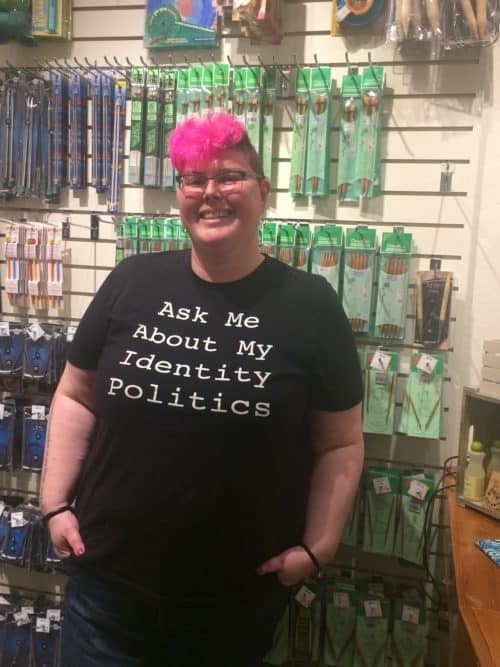 As many of you know, I am not shy about discussing politics and diversity in the crafting industry. I decided to launch PoliCraft because it’s important to me as a women of color to have my voice heard and to let other diverse people out there know we exist and should be part of the crafting community too. Each week on Tuesday, I will post a new episode. 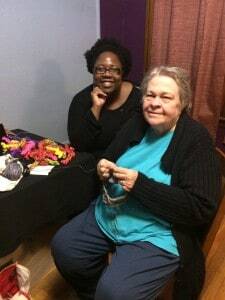 I was joined by Jessica “Jess” Pease this past Friday evening at JP Knit & Stitch located at 461 Centre Street, Jamaica Plain, MA 02130 during the Greater Boston Yarn Crawl. 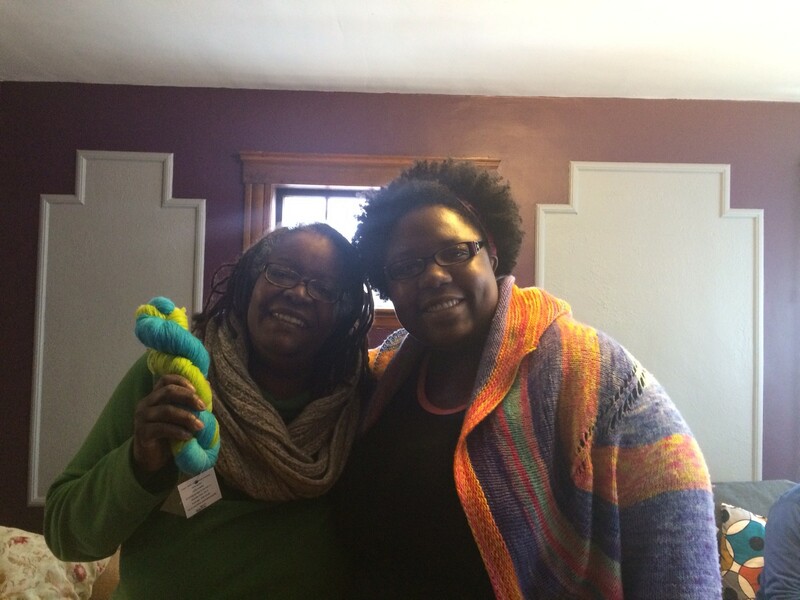 Jess is a knitter, mother, feminist, progressive, and just a phenomenal woman. 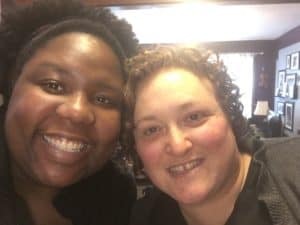 A couple of months ago, I wrote a blog post regarding the lack of diversity in the yarn industry. I was inspired by Viola Davis’ Emmy winning award speech for which she discussed the lack of roles for women of color in the film industry. 2. 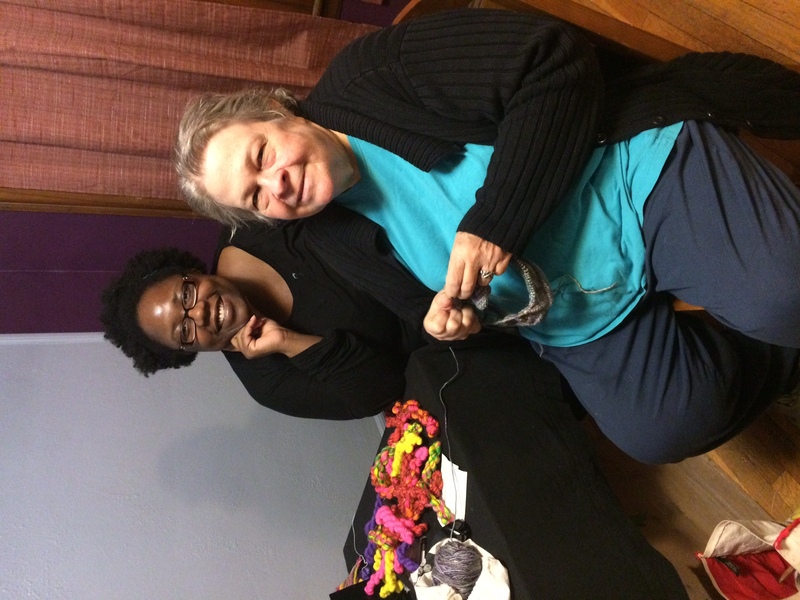 To highlight diverse populations of people from designers, dyers, bloggers, and knitters. 3. And finally, sharing the rich cultural history of textiles from around the world and the impact it has had in our present industry. I am so honored to have as the first guest, McKenzie Mullen. 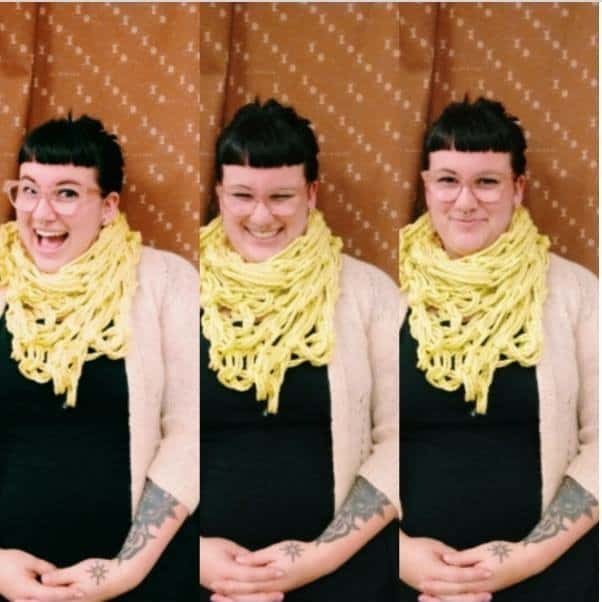 McKenzie Mullen has spent the last two years working and teaching at yarn/fabric stores and has recently migrated from Oakland, California to Boston, Massachusetts. Her passions are knitting and sewing garments to create a long-lasting handmade wardrobe. 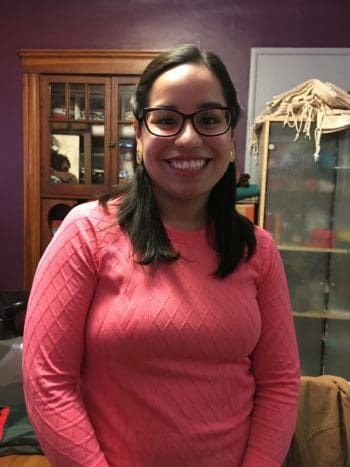 She identifies as fat-positive, latina, queer, and femme and is currently in grad school to decolonize archives.